In this example, when the container module is activated (all modules and extension points are loaded), a new portlet page is created, and the portlet is added to the page. The module container is activated when you start the application or re-create the container (when you activate/deactivate the module). /// The container is activated (all modules and extension points are loaded). /// Called after the activation of the container. 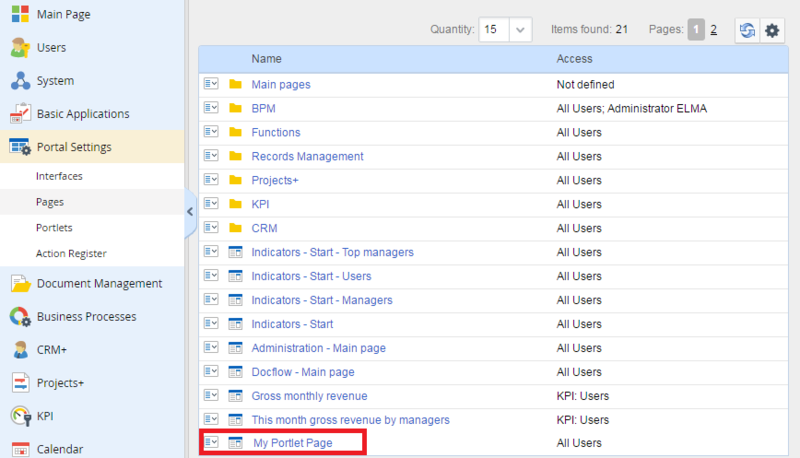 In this example, we have added a portlet on a page created in the CreateDefaultPage method.